TUDOR, ANDREI & ASOCIAŢII is looking for an attorney at law. Looking for a new challenge in your legal career? 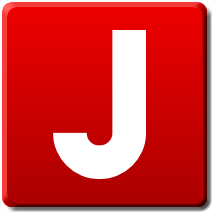 Join us and work as an Attorney for a growing law firm, providing professional and qualified legal services. You will find a friendly working environment and a management approach that allows everybody to participate and share ideas. Come and meet us! 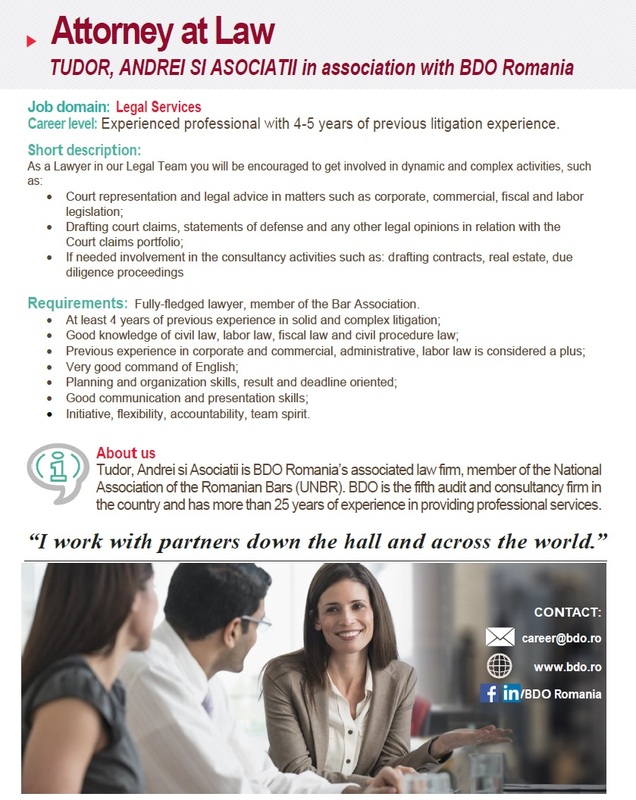 Join TUDOR, ANDREI SI ASOCIATII in association with BDO Romania and let’s make a difference in legal consultancy! By applying to this job post, you are giving BDO Romania your consent to process the data provided in your Curriculum Vitae. We mention that your data will be used exclusively for conducting the recruitment process and to possibly conclude a contractual collaboration. If your application is not successful, BDO Romania might keep your personal data for future employment opportunities for which you may be suited. All your data will be treated with confidentiality, in accordance to EU Legislation 2016/679 and you have the right to contact us anytime at privacy [at] bdo [dot] ro to withdraw your consent for data processing or to correct/modify/delete the data provided.